Put down your crosswords, cryptograms and sudoku. Instead try boosting your brain power by deciphering an ancient script. In case you have forgotten which ones are still available and want to stake your claim, here is a catalog with difficulty ranking based on two important criteria: language (known/unknown) and script (known/unknown). All have teased many a brain for many an age. 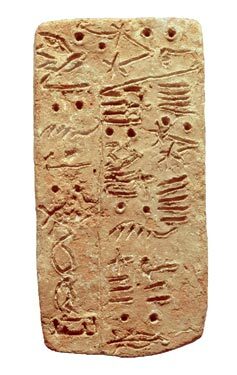 Other things you might want to consider when selecting your brain challenge: is the script artifact a hoax (see Phaistos Disk)? Does it even represent spoken language (see recent work and controversy over the Indus Valley Script)? Also, beware of the possibility of unleashing an army of undead if you actually do figure out the script and recite it (for a vision of this scenario, see Evil Dead II).